What is your favorite kind of dessert? I like fresh fruit. And dark chocolate. Or if somewhere with choices that are sweeter, the occasional piece of a well made fruit pie. Cookie dough heated in the microwave until it's gooey and a little bubbly and topped with vanilla ice cream. It's decadent. Crushed up waffle cone, mixed with cheesecake, cherries and vanilla bean ice cream with a hint of sea salt, OH BOY!!!!! Well, I am in my 60's and I do not think I have yet found my "favorite" the one that I would request on my death bed. I am pretty sure it will contain chocolate to some degree! 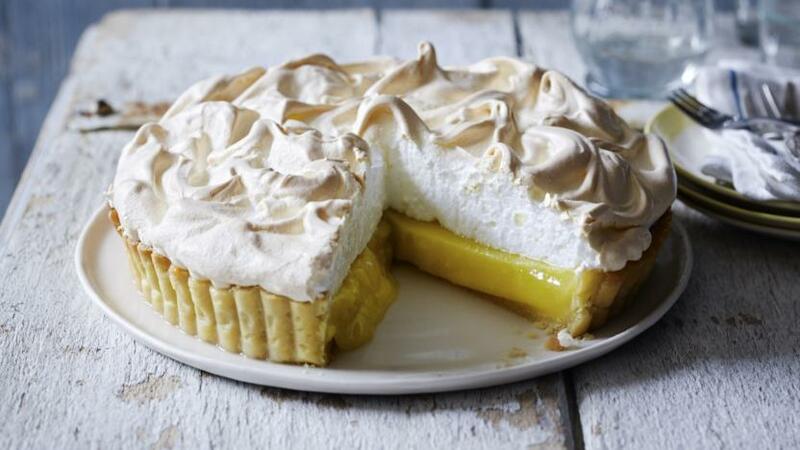 I think my all-time favorite is still lemon meringue pie.